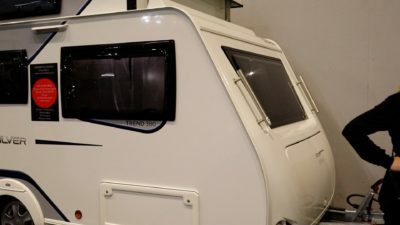 We’ve brought you the big 8ft wide tourers but now we take a look at four small caravans which caught our eye at the Caravan, Camping and Motorhome Show 2019. 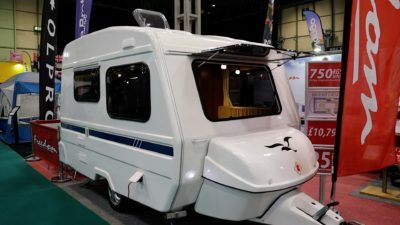 Mini caravans are just as popular as their bigger counterparts and there was plenty to see at the start-of-the-season showcase. Here are four small and quirky caravans that caught our eye. If you’re wanting something lightweight to tow, without worrying about what your car can tow or having to take the B+E test, then a mini caravan might just be the thing for you. 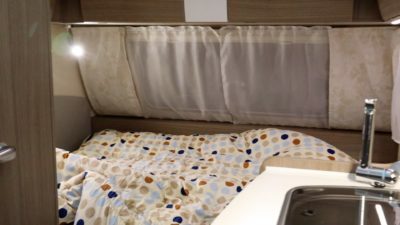 Freedom Caravans have a range of two and three berth layouts and are made from a “one-piece” fibreglass shell with a 25-year water ingress warranty. 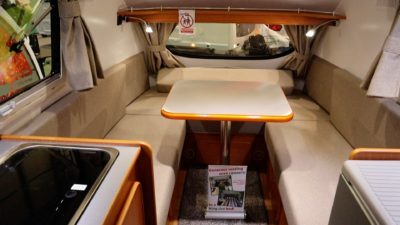 Here the Sunseeker Classic is the largest three berth in the Freedom range. Go-Pods micro tourers are compact and contemporary, with a range of add-ons so you can customise to suit your style. 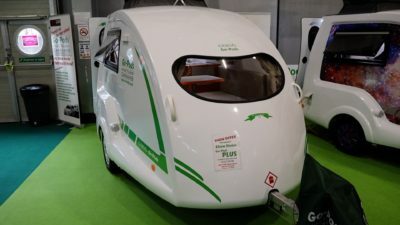 Here the Go-Pod with PLUS pack sits in the middle of their range and includes four extras – awning, dual fuel blown air heating, TV/DVD with aerial and booster and 70W solar panel. Silver small caravans are easy to tow and store and their EASY TOP system raises the caravan roof automatically in less than a minute – an option on all Silver models. The Silver Trend 380 has the comfort of fixed bedding. 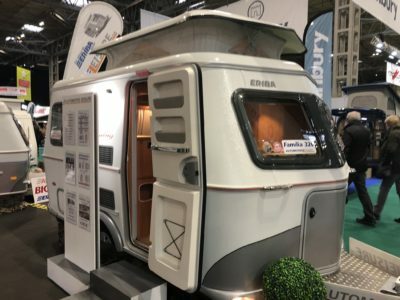 ERIBA touring say vintage and retro are back in vogue and claim that they have the “ultimate cult caravan”. These small caravans are made in Germany with their pop-top roof and unique design they always catch our eye. With 11 small caravans in the Eriba Touring range, the two-berth Familia 320 is one of the entry-level babies. 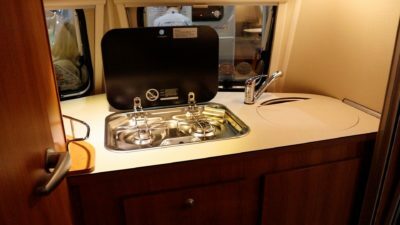 Check out our caravan reviews page for more detailed reviews of other small, two and three berth, caravans and let us know what you think. I’ve owned a Freedom but to date own an Eriba . The Freedom is a good starter small van but the quality of the Eriba wins hands down. The style is timeless and the build quality is second to none. How high is the go-pod? Will it fit in a standard garage (as the Trigan Silver does)? Hi Chris, it’s 2.05m with the roof down. 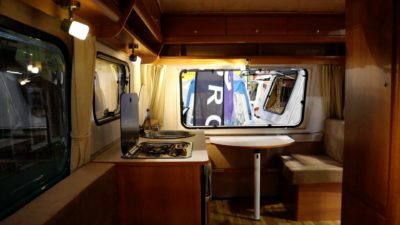 Sorry to see you didn’t mention the new TripBuddy Anywhere; although not cheap, it really looks the business for touring, with a great payload (missing from most UK style caravans). I had hoped to see it, but couldn’t make the show. We have a large Jeep, so MTPLM is not a problem, but durability is, and the TripBuddy seems to fit the bill. Hi Gerald, we did look at the Tripbuddy caravans and agree they look fantastic but at this time we’re unable to provide cover. The Classic looks of the Eriba, is timeless and just won’t date and the re sale value would proof to be a better investment after five years, and huge selection of layouts helps, sure you pay more but with a still frame and alloy sides durable life is assured. See more and more small units now as people want to tour, not just stay put in one place, so easy to tow, perhaps that why in our storage yard so many large units seem never to move. We tow a Lunar venus 320 which is less than 5m shipping length. We were particularly interested in the 4 vans shown on your video. Even if it means having one leg amputated to pay for it, it has to be the Eriba. We are bias but the lunar venus comes next closest. Shame they are a discontinued model. Not everyone wants to tow a cruise liner. When you move up from a tandem with a 2 man tent a 10ft caravan is huge! Brilliant! We have a go-pod, so nice to be able to compare.